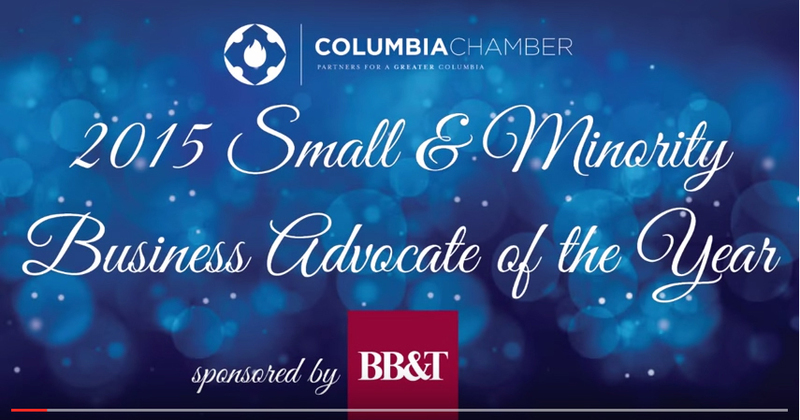 minority business advocate | ENVIRO AgScience, Inc.
(Columbia, SC) — ENVIRO AgScience, Inc. founder and chairman Dr. Louis Lynn was awarded the Small & Minority Business Advocate of the Year award by the Columbia Chamber of Commerce. He received the honor during the Chamber’s annual gala on September 24, 2015. The award recognizes a strong commitment to community service, innovation in thought, and diversity in the workplace and region. Dr. Lynn is the second recipient of the honor. Currently, Dr. Lynn serves as a Regional Executive Vice President for the National Association of Minority Contractors (NAMC). NAMC is the leading membership organization for minority contractors with chapters throughout the United States. Dr. Lynn also serves as the South Carolina chapter president, which advocates the inclusion and development of small, minority and disadvantaged business through purchasing and subcontracting opportunities. In addition, ENVIRO’s workforce development program increases opportunities for aspiring small business owners. It provides entrepreneurship and job readiness skills to students in predominantly minority Richland School District Two, and was recently expanded to skilled tradespersons who receive internships with subcontractors in the Greater Columbia area. The program trains young and unskilled minds to think like entrepreneurs so they can become employers in the labor force. Since launching the company in 1985, Lynn has fueled ENVIRO’s growth into a leading full-service construction management company servicing private sector, government, education, and military clients. The 30-year-old business provides construction, construction management, architectural, and landscape services. In past years, ENVIRO AgScience, Inc. has also been recognized as the “Small Business of the Year” by U.S. Department of Commerce’s Minority Business Development Agency, the fourth fastest growing company in South Carolina, and one of Black Enterprise’s Top 100 Largest Black Owned Firms. © 2019 ENVIRO AgScience, Inc.